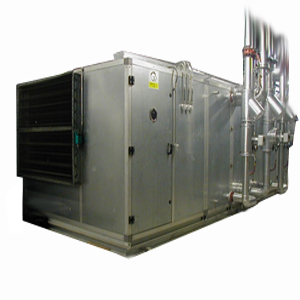 Savio constructs central stations for air treatment designed so they are modular, easy to install and to service. With the special architecture of our air treatment units the station can be “built” using standard sections and with sections designed according specific requests. They can be equipped with cooling, heating, filtering, de-humidifying, air-air heat recovery and energy saving modules.